Alcohol use, particularly excessive alcohol consumption is one of the most serious health risks in the world. A relationship between sport, exercise and alcohol consumption is clear and long-standing. Alcohol continues to be the most frequently consumed drug among athletes and habitual exercisers and alcohol-related problems appear to be more common in these individuals. 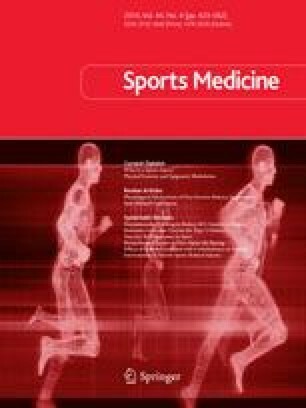 Alcohol use is directly linked to the rate of injury sustained in sport events and appears to evoke detrimental effects on exercise performance capacity. The model of alcohol consumption in human experimental studies has either been acute (single dose) or chronic (repeated doses over a period). These studies suggested that alcohol consumption decreases the use of glucose and amino acids by skeletal muscles, adversely affects energy supply and impairs the metabolic process during exercise. In addition, chronic alcohol use is associated with increased citrate synthase activity and decreased cross-sectional area of type I, IIa and IIb fibres. There is evidence to suggest that exercise may attenuate the ethanol-induced decline in hepatic mitochondria and accelerates ethanol metabolism by the liver. Exercise training seems to reduce the extent of the oxidative damage caused by ethanol. Evidence generated from in vitro experiments and animal studies have also suggested that ethanol administration decreased skeletal muscle capillarity and increased pyruvate kinase and lactate dehydrogenase activities. Substantial epidemiological evidence has been accrued showing that moderate ingestion of alcohol may reduce the incidence of cardiovascular diseases. Although the existing evidence is often confusing and disparate, one of the mechanisms by which alcohol may reduce the incidence of mortality of cardiovascular diseases is through raising levels of high-density lipoprotein cholesterol. Available evidence suggests that exercise and moderate alcohol consumption may have favourable effects on blood coagulation and fibrinolysis; however, compelling experimental evidence is lacking to endorse this notion. Occasional and chronic alcohol consumption is usually linked with unfavourable alterations in platelet aggregation and function and may be associated with platelet-related thrombus formation. Although the effects of alcohol consumption on the rheological properties of the blood are not known, recent experimental evidence suggests that alcohol use following exercise is associated with unfavourable changes in the main determinants of blood viscosity. It is well documented that alcohol use modulates the immune system and impairs host defence. Compelling evidence is also mounting to suggest that chronic alcohol use is linked with adverse effects on the body systems and organs including the brain, the cardiovascular system and the liver. No sources of funding were used to assist in the preparation of this review. In addition, the authors believe that there are no potential conflicts of interest that are directly relevant to the content of this review.